Gor Mahia turned down an opportunity to play perennial African giants TP Mazembe of Congo DRC and also turned down a friendly with Sudanese champions Al Hilal. Aduda explained that schedule constraints prevented Gor Mahia from playing both teams. “We will then start Caf campaign on February 10. 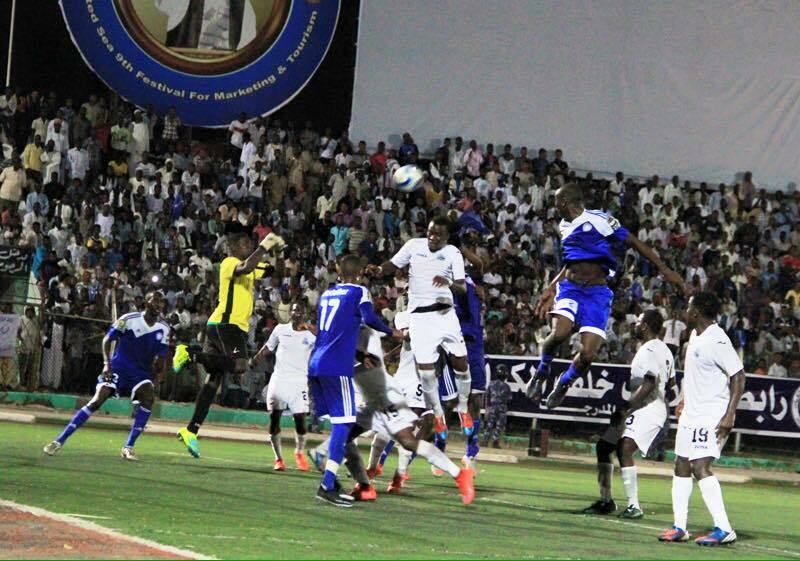 So honestly, it was not possible for us to schedule friendly matches against Mazembe and Hilal. Maybe we can plan for such matches in future when we don’t have a tight schedule.” he continued. However better planning would have enabled this especially since they have played Al Hilal over the past two pre-seasons. Instead Gor Mahia will play KCCA of Uganda in their only high profile friendly before they play the Africa Champions League preliminary on February 10. Al Hilal, TP Mazembe and KCCA are all participating in the 2018 champions league and friendlies against such sides would have been solid preparation and given Kogalo to test their strategies against top class opposition. Club treasurer Sally Bolo has explained why Gor Mahia chose to play their continental matches at Kenyatta stadium Machakos. Gor Mahia have revealed why they picked Kenyatta (Machakos) over Bukhungu stadium to host the Caf Champions League matches. The two stadia were approved by Caf to host the continental assignments, but K’Ogalo settled on Machakos which the club treasurer, Sally Bolo argues is pocket-friendly to both club and fans. The local champions will host Leones Vegetarianos of Equatorial Guinea in the first round of preliminary matches next month. “Machakos stadium is appropriate because we will reduce on expense at this time when things are hard financially. It will cost the club a million shillings to play in Kisumu – we have flight tickets, accommodation and other expense,” Bolo told the club website. K’Ogalo will be returning to Machakos for the first time in four years after the club was banned from playing in the County following the violence that erupted after Gor Mahia lost to Sofapaka in 2014. Sawa. Though playing Maxembe and other top teams would have been benefocial. By the way what’s with Sportpesa deal? Honestly, I think the “vegetables” should a “very easy meal”. The next round which determines CL CAF group stage qualification will be real test.Having missed the Mapinduzi Cup the one match against KCCA (minus its CHAN players) is enough for now. As regards Kisumu its biggest undoing is poor facilities, the lack of stands and the garbage heap. We regularly fly to Kisumu for our league matches hence that can’t be the issue. Another case for a strong western branch that can lobby for such matches. Kisumu’s loss is Machako’s gain. Personally I welcome the machakos idea..for planning purposes and logistics its ok.
However,I hope there will be better organisation in terms of purchasing of tickets, seamless entry and exit into and out of the stadium, adequate security all round and level headed policemen and women.In the absence of all that,it is going to be a recipe for disaster! Kisumu county and indeed the entire Nyanza counties should be a shamed that Kogallo is taking business to Machakos. @, Sylvester, in kisumu we shall continue to sing ‘ resist, resist, Canaan , Canaan , resist ‘ ‘ whilst others harvest the fruits of our labour. Poor leadership is our biggest undoing. @Jakoyo stop your nonsense. when did resist started? what were the governors doing? You are a real imbecile indeed. @ Dan original, as mentioned earlier, sportpesa termination is effective 30th January 2018 and to avoid last minute embarrassment, Efusi last week submitted a kshs 10 million budget for CAF 1st round qualifying matches. It is expected that kogallo will follow suit as the EC has not given plan B but unlike efusi, we have legendary almighty chairman to fall back on at least for 1st round CAF matches………. @jasego.i always take all the things this govt.does with a pinch of salt.they are good in pr.they might leave us hanging.since we as a people hav been killed with this pr govt without apology am not at all appreciative ofthisgesture because it is the govt. which has brought us towhere we ar spornsor wise.do u think they will be with us for the long overhaul,when we are succeeding,they will remember oh raira is the patron oh mdvd is the patron.minister stop money going to gor/efusi . Totally unrelated but I feel this is the best forum to ask…In both team lists submitted for continental and domestic assignments this season, Innocent Wafula is missing. Is he still a Gor Mahia player and if not when was he released and why? it is because of passport issues. he does not have passport. @musymo, he was given a squad number 14 so he is Part of the squad for 2018. The CAF list is short because of budget constraints. The lad has always had unresolved nationality / passport issues. I see AFc has a strong mid on paper; how Great is ours can it deal effectively with Esperance midfield? My great people, i have one question, did we get the rights of machakos Stadium or was just allowed to play in it? By Rights as was reported earlier it would be ours to manage , brand and call it our home. As much as we hate Bwana, he used to fund the air tickets of players to Kisumu. Nyongo, Nyongo, can you do something about the stadium? Lets buils ourselves men, when kogallo comes to Kisumu, we build the economy of Kisumu. Our hotels, hawkers, lodges do a roaring business, hence we build our people. Kwano matindo gi to dwa go nyaka karang’o jowetewa? Uko yu sana @ musymo.Pongezi. Kudos Musymo for your updates. Sasa lete analysis. And give us some ratings on performance of the new signings also. Thumbs up man?